Hey, Welcome to Chinese Foods Recipe.com! 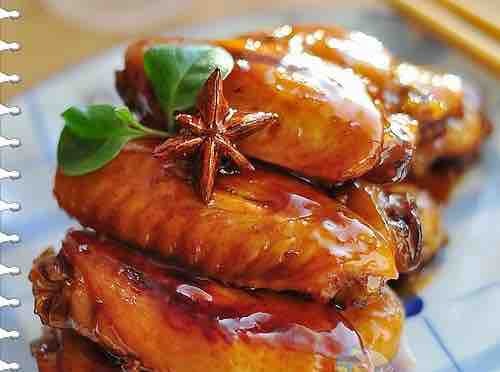 Chinese Foods Recipe.com is a place dedicated to share, love and present the real China, from a native's perspective! We are not perfect, so please let us know your valuable feedback and what you want to learn most about China! We humbly hope our efforts can bring everyone closer to the real China! Attention: Coke Lovers! One of the most easy recipes about Coke Cola is here. We love Coke, but not anymore when it gets flat! Have you ever thought of becoming a Coke Cola chicken wings masterchef? I learned that from my mom when I was small. People used to buy a lot of drinks in the summer gathering. Coke Cola was always on the list. I am not a big fan of soda in all my life. We eventually had plenty of soda left after the family gatherings. Once, I asked my mom how do you cook wings. She smiled, grabbed the cola and said:”how about some Coke chicken wings? You never had it before.” I was so excited even thinking about this idea. To be honest, in my mind, I was picturing a girl coughing even after having the first bite. But to my surprise, it turned out pretty good! I fell in love with it and couldn’t resist to try again and again. This is one of the easy chicken wing recipes you will love! You won’t find it in lunch special restaurants. So the best way is to do the experiment yourself. You probably only need 10 minutes in preparation and cooking. Step 1. Wash the chicken wings and boil with hot water. Step 2 .Heat the wok and let the sugar melt. Step 3. Stir-fry the chicken wings until it turn brown. Step 4. Add the coke inside and add aniseed, salt, green onion and ginger.